After a bit of a delay, we’re finally ready to start accepting Early Adopters! 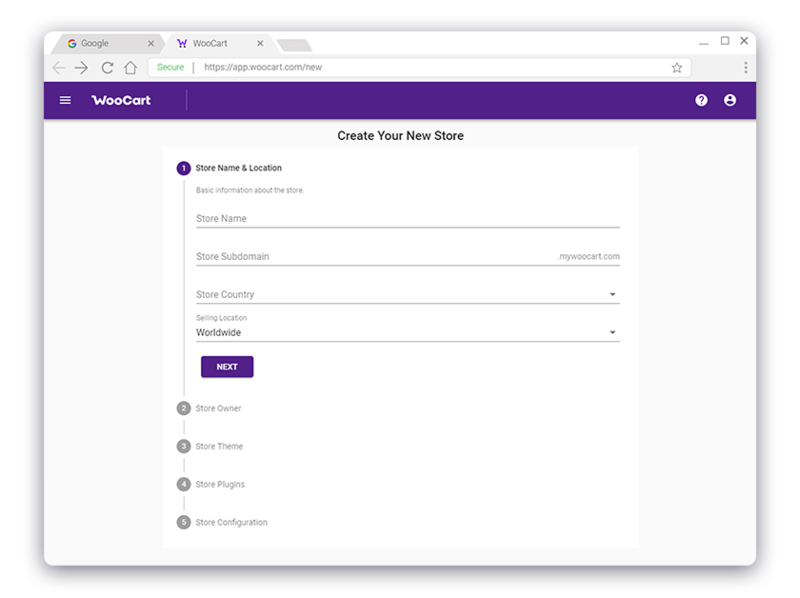 There’s still a lot of work to do but the Wizard can already create localized stores in a few clicks. And the final result is really, really good. A lot better than what you’d get with a few hours of work with a regular WooCommerce host. You shouldn’t subscribe if you are unwilling to invest a little bit of time into testing WooCart. We need thoughtful comments that will help us build the best Managed WooCommerce Hosting and we can’t do it without good feedback. Those that do will be well compensated for their time. We’d like to see fully tested localizations in different configurations, especially for your own country. Be especially mindful of taxes in different configurations, like B2B and export. We’d like the Wizard to get you as close as possible to the point where you can just start selling. 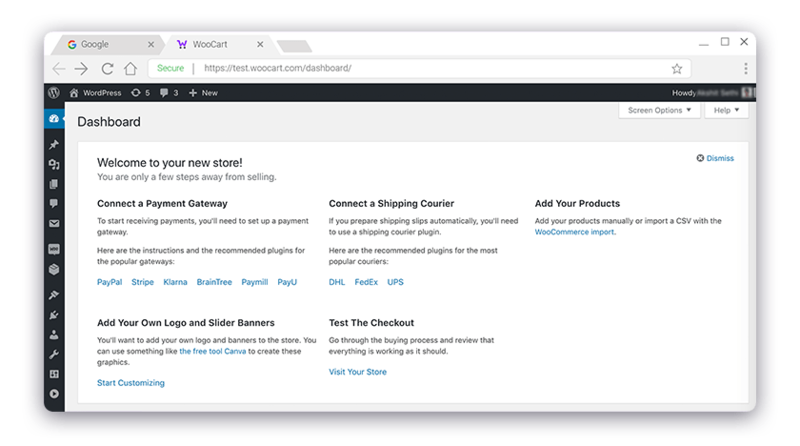 Our guide inside the WordPress dashboard will show you the rest of the steps you need now to get to that point: connecting to a payment gateway, to a shipping courier, adding your products, and testing. One major thing still missing is configured support for transactional emails with SendGrid. Currently, you need to set it up on your own but our plan is to have this done out-of-box very soon. Any and all good ideas on what we’re still missing are very welcome. We’ve already received a lot of questions about the planned prices. We thought a lot about this and especially looked at our expenses, and we’ve decided that WooCart’s smallest plan will start at 29€/m. This plan will include dedicated Google Cloud resources. This means no shared hosting! There are no hosts that offer this at this price range and the benefits are enormous, especially for developers who want to have control over their installations. You will also receive a free SSL for both the free MyWooCart.com subdomain and your custom domain. The plan will also include automatic backups, a mailbox, and of course the Wizard and all other awesome automation features. Plans will be limited by visits and we expect the smallest plan’s limit to be around 10,000 visits per month. It will be ideal for a startup store. Early Adopter spots are limited to 30 people! We are only accepting a few people so that we don’t get overwhelmed. People who talked to us, gave us feedback, sent localizations, or helped us in any other way will have priority over others. As a thank you, all qualified Early Adopters will have a free account for up to 10 stores until the public launch and receive 100€ in credit for the subscription after the launch. Currently, we are only taking users from the 56 countries where we’ve started the localization process. That said, we have already filled 11 out of 30 spots with members of the FB WooCart community, so make sure to apply quickly! Note: And we’ve filled all of the spots! Thank you to everyone who applied and we’ll send out the first invites tomorrow. Keep an eye out on the newsletter for more Early Accesses in the coming weeks. Can I be your 31? I’m about to launch 4 ecom stores for Q4 with shopify. Even though I’m a developer and I’m creating woo commerce stores for my clients, when it comes to seize the moment, and launch something fast I select shopify. This is why I’m asking for an exception and allowing me early access on this. If what you have created is as cool as I imagine it to be, I’m going to be your biggest ambassador.